This information was also confirmed by sources at Peebles Hospital. Reports are that Hon O’Neal is recuperating well at the overseas medical facility. The territory’s first Premier suffered a stroke on Friday September 30, 2016, according to a statement from his youngest daughter Abby O'Neal, who also thanked the local hospital staff for their professionalism during her father’s stay. 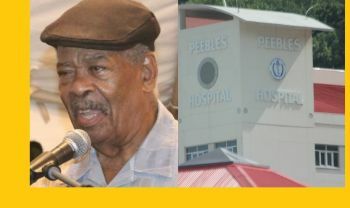 The territory’s first Premier, 82-year-old Hon Ralph T. O’Neal OBE who suffered a stroke on Friday September 30, 2016, according to a statement from his youngest Daughter Abby O'Neal, remains a patient at Peebles Hospital in Road Town, the Virgin Islands capital city. As of publication time, preparations were still being made to fly the former Chief Minister and Premier, who steered the Virgin Islands through many of its most prosperous times, overseas for enhanced medical treatment. The details of the overseas arrangements have not been disclosed to the public. In a statement on October 4, 2016, the family of Hon O’Neal expressed gratitude to the medical and administrative staff of Peebles Hospital, who they said “displayed exemplary professionalism and care for which the family are most grateful". He represented the 9th district for some 40 years (1975-2015). It is Hon O’Neal who is directly responsible for well over 90% of all developments on Virgin Gorda and Anegada, from the many roads cut and paved, schools and clinics, police stations, post office, water, electricity, Government Administration Complex and docks, along with being in a position to approve many of the private sector developments on both Virgin Gorda and Anegada. 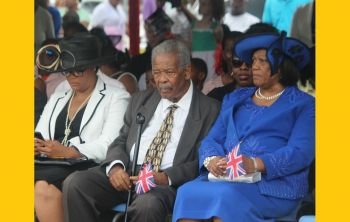 One of Hon O’Neal’s lasting legacies is the creation of the London Office, now the BVI House, to secure the Virgin Islands’ interest in the United Kingdom and the European Union. His Virgin Islands Party (VIP) administration is also responsible for much of the development of the Virgin Islands, from the Terrence B. Lettsome International Airport, the new Queen Elizabeth Bridge, the Commercial Court, the H. Lavity Stoutt Community College and the awarding of Crown lands to residents to build their first home on Tortola, Virgin Gorda and Anegada to name a few. The VIP led Administration built the first Cruise Ship Dock on Wickham’s Cay, introduced the clinic and community centre system throughout the Virgin Islands, which included the construction of all the community centres and schools from Anegada to Virgin Gorda and Tortola. Alongside the late Chief Minister H. Lavity Stoutt (R1), it was the VIP with Hon O’Neal that also developed the scholarship system whereby students are sent off to college paid for by the state. This system has educated some 5 generations of Virgin Islanders. to the family of Hon RT Oneal continue to take care of him because he is very valuable to these Virgin Islands. They want to send him to some third rate two star "in JIPA Network" hospital. Yet the Chinese Minister gets the best of the best. Get well soon uncle Ralphie! Chinese Minister gets to pick where he wants to go when he has gas pains everybody else gets JIPA. Get well soon mr O'Neal. Uncle Ralph get well soon. We need your book on these Virgin Islands and your family needs you. There are families that pleaded to be flown out for immediate care from Peebles and yet Peebles waited until things were too late to act. Only if you are important enough you will get good treatment. I'm happy that Mr O'Neal got out before it was too late but I am still NOT over how Peebles treats other families. There will become a day when they will have to be held accountable to those underprivileged families. There will be a voice for the unspoken.